Vetternwirtschaft unter Journalisten: also mal wieder ein Crosspost meines Freundes Andrew Jennings. 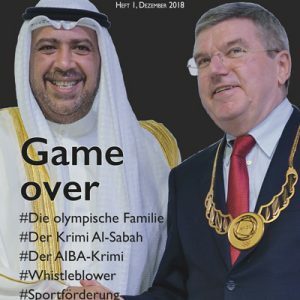 Er schreibt über die Einzelunterschrifts-Berechtigung des FIFA-Patrons Joseph Hosni Ben Ali Blatter. Ein Umstand, den vor Jahren in Geschichten über die Desinteresse-Erklärung der FIFA im ISL-Verfahren schon Jean François Tanda berichtet hat. 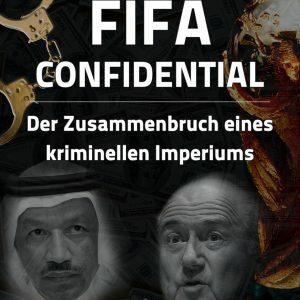 Ich finde allerdings, die Story, die AJ da nun veröffentlicht, ist heute wichtiger denn je, da Sepp sich schon den albernen Segen einer Vertreterin von Transparency International geholt hat und behauptet, die FIFA werde zu einer volltransparenten Organisation mutieren. Nun ja. Die Fakten sprechen ein wenig dagegen. FIFA president Blatter has given himself the authority to sign cheques without the approval of his staff or colleagues. Documents at the Zurich Commercial Register reveal that Blatter has had sole signatory powers for nearly two decades. 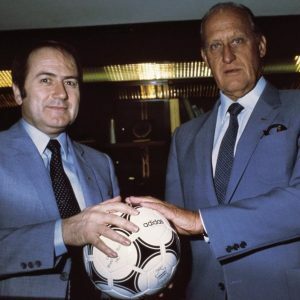 João Havelange, his predecessor as FIFA president, currently under investigation by the IOC for bribe-taking, had this power but as he lived in Rio, he allowed his then general secretary Sepp Blatter also to have sole rights. As corruption allegations swirl around President Blatter he could, if he wanted, write himself a cheque for the $1.6 billion in FIFA’s bank account, take his empty suitcases to FIFA’s bankers UBS on Zurich’s Bahnhofstrasse, speed on to the airport, take his last trip on a FIFA-funded jet (he never flies scheduled airlines) and abscond to safe haven in countries like Burma, Russia, Azerbaijan and Zimbabwe where he has been given warm welcomes in the last year. 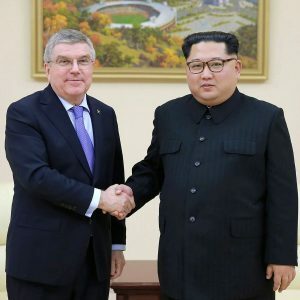 When Blatter took the presidency in 1998 he kept this power of sole signatory for himself but has denied it to his three successive general secretaries – including incumbent Jérôme Valcke. 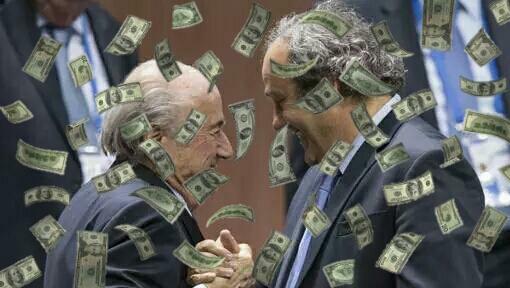 Even Julio Grondona, the chairman of FIFA’s Finance Committee, does not have this power. Mr Grondona is currently under investigation by police in Buenos Aires following the revelation two weeks ago that he and his family and close aides control bank accounts in Switzerland containing more than $70 million. Although the accounts have featured prominently in the Swiss media, Blatter has declined to refer Grondona to FIFA’s Ethics Committee. Police in Buenos Aires are on the case. This disclosure calls into question the reassuring reports of FIFA’s Audit Committee, chaired for many years by IOC member Franco Carraro who resigned in 2006 as President of Italian football after allegations of involvement in the Juventus match-fixing scandal. Mr Carraro was subsequently cleared of any wrongdoing. Another luminary of FIFA’s seven-member Audit Committee is Justino Fernandes, former governor of Luanda. He was attacked by philanthropist George Soros, the UK, the USA and the European Parliament after ordering the jailing of a critical reporter in Angola. Also on the Audit Committee is José Carlos Salim from Brazil, a close confidant of FIFA’s Executive Committee member Ricardo Teixeira, under investigation by Federal Police for tax evasion and money laundering following disclosures by BBC Panorama that he allegedly took $9.5 million in kickbacks from the company awarded FIFA’s World Cup marketing contracts. Mr Salim is an executive of the Brazilian football federation, chaired by Teixeira – who is in charge of the 2014 World Cup. The existence of Blatter’s sole power of signatory also casts doubt on the due diligence of FIFA’s executive committee. 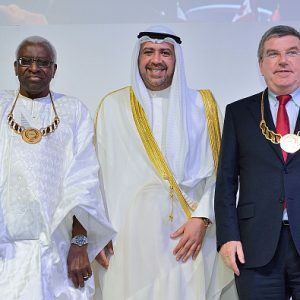 Vice-president Issa Hayatou from Cameroun is under investigation by the IOC for bribe-taking. Nicolas Leoz from Paraguay was also accused by Panorama of pocketing $730,000 in contract kickbacks – but Blatter has again refused to act in either case. American member Chuck Blazer may not have been troubled as he flouts good governance rules by being both general secretary and treasurer of regional football in North America, Central America and the Caribbean. His offshore bank accounts and assets are currently being examined by the FBI – but Blatter declines to refer Blazer to the ethics committee. 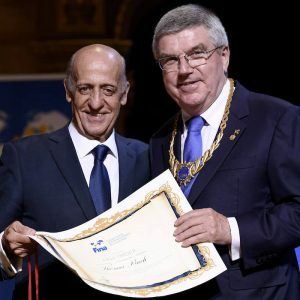 Although there are no allegations of any kind against Michel Platini neither he nor Britain’s former FIFA vice-president Britain’s Geoff Thompson, or his recent successor Jim Boyce from Belfast, appear to have raised the issue of Blatter’s extraordinary power. This reporter has been banned from FIFA press conferences since 2003 after he published a documented story disclosing that Blatter pays himself a secret six-figure annual bonus for ‘loyalty.’ Blatter announced the story was ‘fiction’ and promised to sue. He didn’t. Blatter refuses to reveal what he pays himself in salary, bonuses, expenses and other perks. And what he takes in cash. Die märchenhaften Reichtümer des FIFA-Finanzchefs Don Julio Grondona: woher kommen mehr als 100 Millionen Dollar auf seinen Auslandskonten? 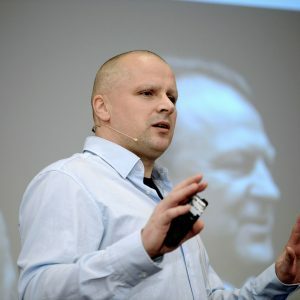 06.01.12The real road map: investigate corruption in FIFA, what should be happening? Is there any scenario to clear this pigsty ? Zu Don Julio gibt es bis Mittag einen ausführlichen Beitrag mit Dokumenten, Audio, Video – all that stuff. Ralf, du dachtest bestimmt, doppelt hält besser. Äääähhm … den Ralf in seinem Lauf halten weder Ochs noch Esel noch Herbert auf. Die Kernbotschaft war mir zu gut versteckt! Kann man die Risikoklassen aus der Teledata-Grafik wo nachlesen? Bzw. 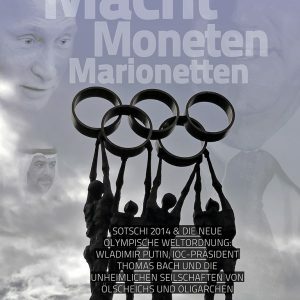 deute ich A – niedrig und C – super-kritisch richtig? Toller Bericht, entspricht meiner Meinung. Weg mit den Typen!!! Anti-Korruptions-Experte Pieth stellte in Zürich seine Reformpläne vor und räumte auf Nachfrage ein, für seine Arbeit von der FIFA bezahlt zu werden.